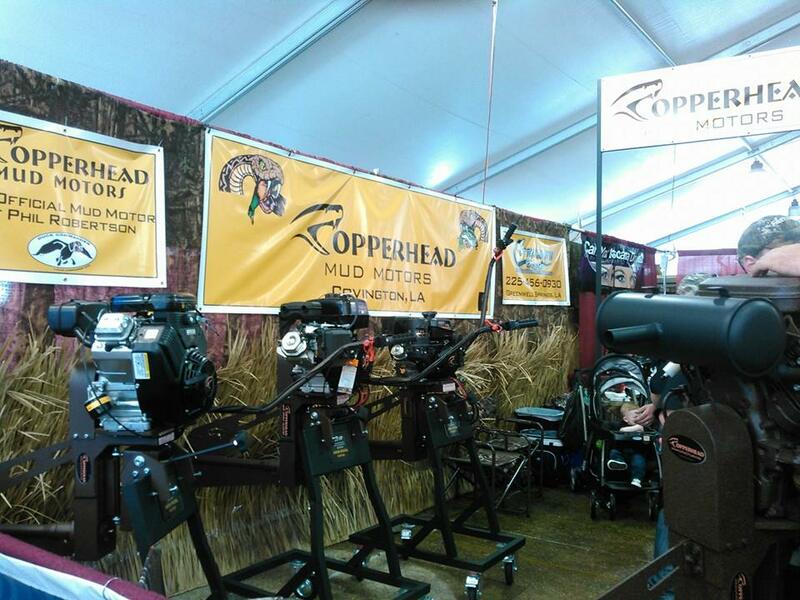 " THE FIRST MUD MOTOR COMPANY TO DESIGN AND ENGINEER A light weight, small horse power true surface drive mud motor "
The Copperhead family had an incredible weekend at the Louisiana Sportsman Show. 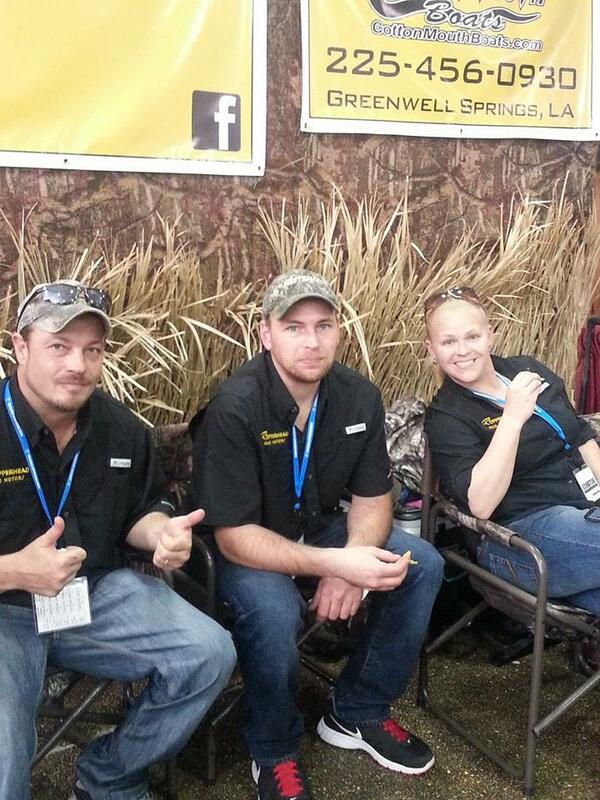 We were able to meet an incredible amount of people that love our product. 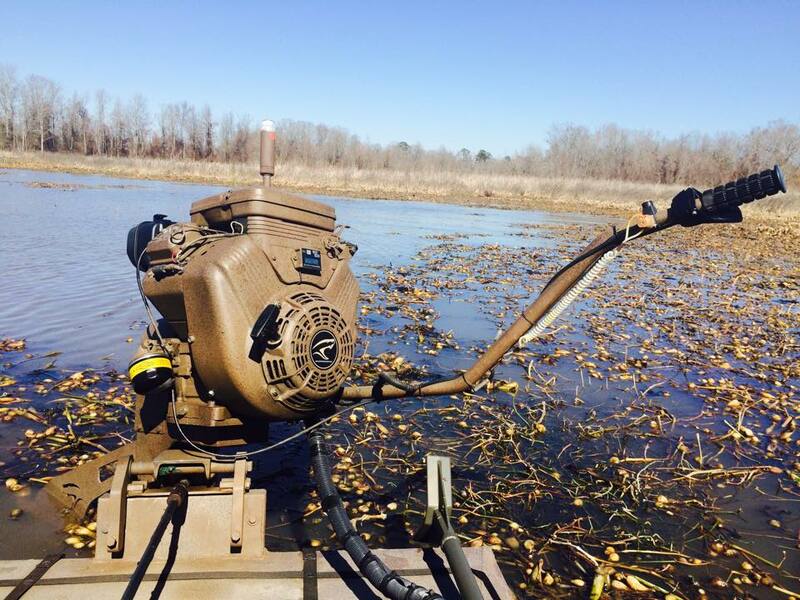 We were able to meet people that drove from other states just to look at a boat motor in person. I can't wait for the responses from this show!!! 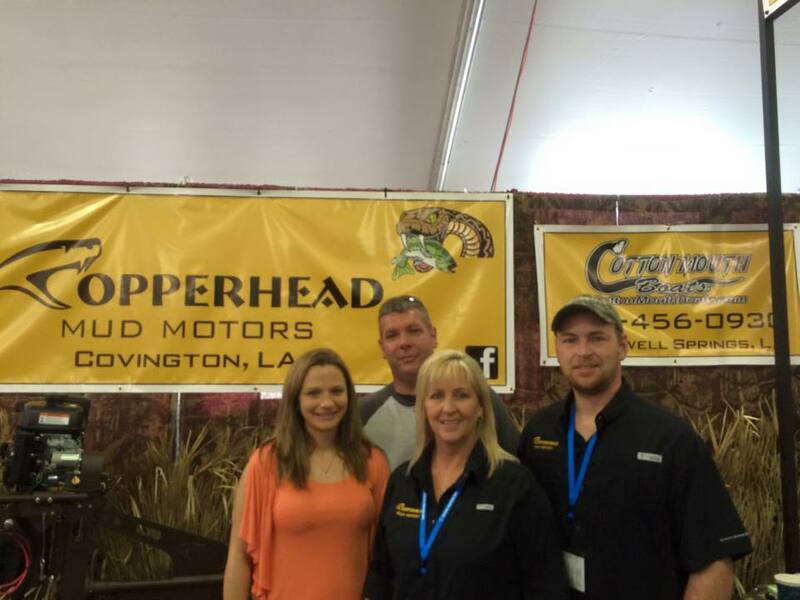 There were a lot of other Copperhead loyalists that brought people to us that will be hitting the water soon. Thank you to everyone for the support! 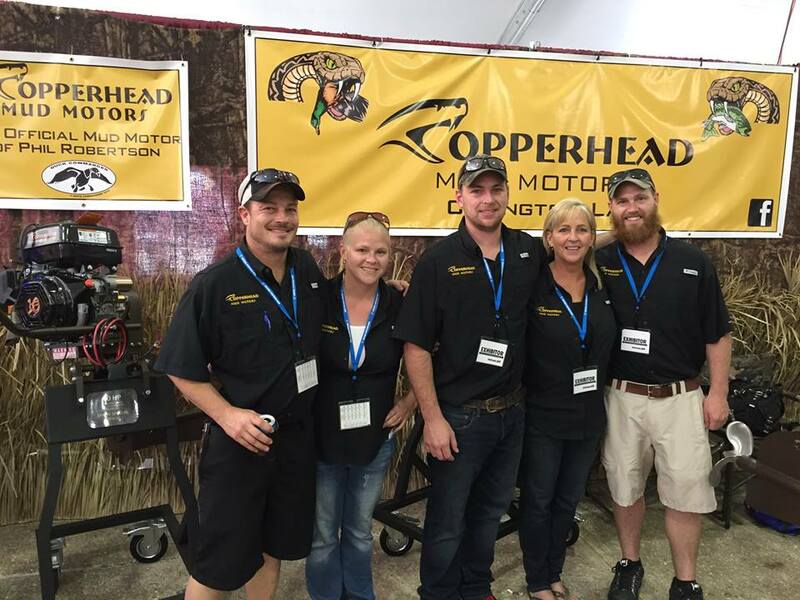 Stay connected with the latest Copperhead Mud Motors News and Events. 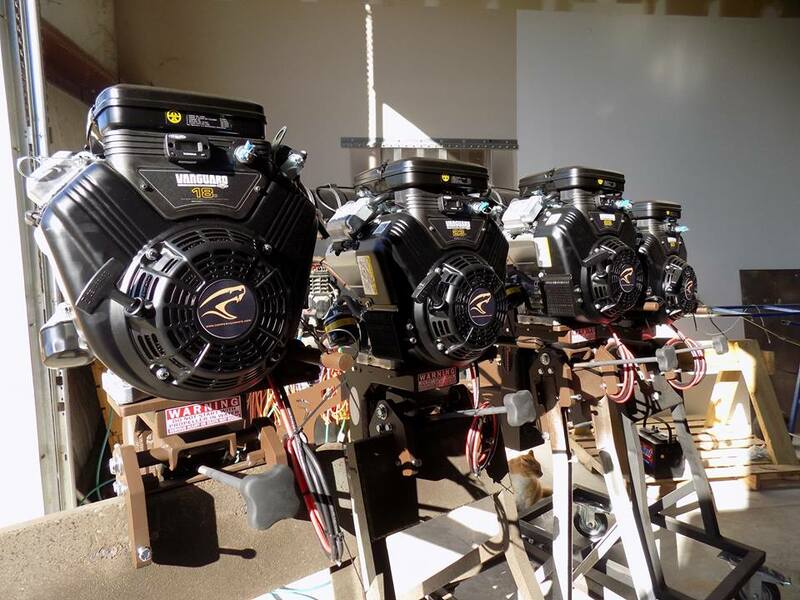 Copperhead is constantly doing research and development to bring the best products possible to our customers. Take a look at the videos and keep coming back to see what s new at Copperhead. We look forward to meeting you. If you have any questions, comments or concerns please contact us.